03/29/2019 | Articles | Rode, H.
This paper is a personal reflection from Heinz Rode, a paediatric surgeon. Heinz is an Emeritus Professor, at the Red Cross War Memorial Children’s Hospital and University of Cape Town, South Africa. Heinz reflects on an over 40-year career as a paediatric surgeon, caring for sick babies and their families. Heinz offers a rare view into the heart of the paediatric surgeon. He identifies with compassion and reflective insight four primary phases that guide and help to navigate his interactions with the baby and family: (1) Meeting the sick neonate and family; (2) Establishing a diagnosis and prognosis; (3) The neonate as the patient with an organ to be operated upon [“Baby Joe the patient” becomes Baby Joe as a “liver”]; and, (4) The aftermath and the future for baby and family. This article provides a shared reflective space between the surgeon and the Infant Mental Health (IMH) specialists who journey with these babies and their families, often in parallel. This paper provides a platform from which to engage in a conversation about how as IMH specialists we can also consider the paediatric surgeon and hold them in mind as part of the baby family world. “Please exercise the greatest gentleness with my miniature tissues and try to correct the deformity at the first operation. Give me the blood and the proper amount of fluid and electrolytes; add plenty of oxygen to the anaesthesia, and I will show you that I can tolerate a terrific amount of surgery. You will be surprised at the spread of my recovery, and I shall always be grateful to you.” (Entrance to operating theatre at Red Cross War Memorial Children’s Hospital from The Surgeon and the Child, Willis J. Potts). This is a very personal reflection on my career as a paediatric surgeon over a period of 40 years caring for sick babies and their families. I was fortunate to have entered children’s surgery when it was still in its infancy and have, over the years, observed a dramatic improvement in the survival of infants that was previously thought not possible. Paediatric surgery as a specialty started late and had to wait until the second half of the 19th century, when Virchow and Claude Bernard gave medicine a scientific basis. It took a long time before we appreciated the complexity of the developing foetus as well as the developing anatomy in infants and children regarding their physiology and disease processes. It is now possible to operate safely with a good outcome on the smallest of children with the most complex pathology, with most eventually enjoying full and productive lives as they grow up. However, there are dark clouds on the horizon. The complexity of modern medicine, which has given us these spectacular results, has also in some way been responsible for dehumanizing medicine and directing our personal attention away from the family and sick child. With new diagnostic and therapeutic developments, modern medicine is increasingly encroaching on, and at times displacing, our interactions with the sick child and her/his parents. The care of infants requires judgement, knowledge, experience and wisdom. There remain, however, some ‘things’ which cannot be defined, characterized, or quantified, which are greatly influenced by one’s own experience with anxious and concerned parents and their sick babies with life-threatening conditions. I will not concern myself with the technical aspects of the various surgical procedures to correct congenital abnormalities. Instead, I focus on four distinct, yet intensely integrated processes, involving the sick infant and family. 4. The aftermath and the future for baby and family. During the first phase new-born surgery is usually performed to correct a congenital anomaly that may affect the baby’s survival. The family has not known the infant as a separate individual before birth and the mother in particular faces a difficult and very stressful situation. Unfortunately, as the surgeon, I have seldom met the family or spoken to the mother preoperatively, as this is often an emergency situation as the baby is abruptly separated from his/her mother. Even in the physical absence of the mother, I have found it essential to have a conversation with her either directly or by phone, to try to lessen her anxiety, despair and even hostility towards me. All these emotions are quite understandable as becoming the parents of a sick baby, being confronted by the diagnosis, and facing an uncertain future must be very unsettling. Parents must therefore be helped to make sense of their baby’s illness and the effect it will have on their parenting. They remain in the pivotal role and any medical decision must be in the best interest of both the baby and his/her parents. When a baby is born with a congenital abnormality, five possible outcomes can be anticipated; these are in the surgeon’s mind when speaking with the parents. There are those babies with the potential for total recovery; those that would lead a near normal life; those that would require permanent supervision and medical care; those that will be left with serious physical and mental damage; and finally, those with anomalies that are incompatible with life. To convey this information to already distressed parents is challenging and we, as surgeons, are inadequately trained for this task. Preparing the family for what lies ahead, is thus a personally rewarding yet also a stressful process. The surgical procedure needs to be explained in detail in order to lessen any misunderstanding, thereby reducing fear, anxiety, and instilling confidence. Compassion is the essence of what the grieving parents expect from their paediatric surgeon as well as the empathy he/she conveys towards their anguish. Even as a surgeon who has dealt with many crisis situations, one remains human and inevitably becomes emotionally involved with the family. Being a father myself, increases my understanding of the dynamics of uncertainty, hope, and expectation that parents have. Images based on all my collective previous experiences about the possible consequences of the pathology and the immediate and long-term outcomes are vivid in my mind when talking with the parents. This may result in an emotional overlay, and my anxiety, particularly if the baby or child is of the same age as my own, may cloud my judgment and I may unconsciously consider unrealistic options to help lessen the gravity of the situation. To a great extent this period can be ameliorated by being aware of my emotions and by devoting adequate time and attention to the parents and their concerns, always with the baby at the centre of our focus. The second phase is the transition from meeting the parents to the examination of their baby, after transfer from the maternity hospital. Admission to an ICU in preparation for a major operation is usual. The parents now enter a space that is foreign, mysterious and frightening to them. Even the baby faces a great unknown. My engagement changes from the sympathizing doctor to an objective, unemotional examination of the new-born. The focus is now entirely on the baby. It requires many months and years of experience to recognize the significance of a baby’s helplessness and cry, without the benefit of questions and answers to evaluate his/her condition. Although the diagnosis could have been suspected prenatally or after the clinical examination after birth, the final diagnosis often requires further radiological and other invasive procedures. The baby then again enters a different environment of high technology where his/her diagnosis will be confirmed, thereby determining the need for an operation and the prognosis. What follows is a crucial period. As a surgeon, you have a great responsibility to the baby entrusted to your care. I will now discuss in full detail, and in such a manner that the anxious parents can understand the pathology, the aim of the impending surgical procedure and the aftermath. This cannot be left to others as they could minimize or misrepresent the full context of the diagnosis and the gravity thereof. It is, and always was, my responsibility. It is often very helpful to use a simple sketch to demonstrate the pathology and the corrective surgical procedure. The third phase is the transition from the bedside to the operating table – from Baby Joe and family, to Baby Joe as a patient, to Baby Joe as a liver. This should be an unemotional, realistic and life-determining period in the life of the baby. I cannot allow myself to be distracted from the task. At some point, I have to cross the Rubicon, distance myself from the psychological and emotional engagement with the family and embrace the cold reality of the surgery that lies ahead. By doing so I enter a dynamic environment and space of stress, uncertainty, changing pathophysiology, and shifting goals. The baby has become an object with a congenital anomaly to correct. The minimum the neonate will ask from you is competent surgical care. A successful outcome is not only determined by the pathology, but also by my technical and critical ability, experience, commitment and singularity of process. I have to develop a barrier and actively disengage from the emotional and psychological ties that have developed between the family and me, to concentrate totally on the task ahead, realizing that faulty judgment, technical errors or lack of concentration and tiredness can have detrimental consequences. So often I have reflected on my collective memories of clinical situations and realized that most of my surgical errors stemmed from misperception rather than from a lack of judgement or surgical skills. I would say that 70% of important events during an operation relate to decisions taken and 30% to manual skill. Operating theatres often present the staff with high risk situations where the unexpected may emerge, requiring a rapid response. These two factors are the fulcrum around which success revolves. It so often happens that during the operation, unexpected conditions or unanticipated problems arise and one realizes that the initial diagnosis is different to what one was prepared for, requiring new decisions and a change in the planned approach. What prevails here is good judgement and sound decision-making, often relying on stored memories or intuitive decision-making of previous successful interventions. It is in these seconds that the voices of my mentors are loud and clear in my head, helping me to take the correct next step. Dr David Heimbach, a surgeon from Seattle with whom I trained, left me with sound advice: “Do the right thing the first time” and “take responsibility for your mistakes.” During a conference in Nairobi in 1994, Prof Pena was asked by a student about the most difficult operation he has ever done. His answer was “It was the one I had not prepared for.” Those infants who receive the correct surgery from the beginning do much better than those with unresolved or persistent problems that linger on for years to come, especially if faulty judgement led to the wrong surgery. Potentially this is a very stressful space to be in, especially if you have had complications in the past that have led to an adverse outcome. These consequences can easily lead to distress, emotional exhaustion, de-personalization and a decreased sense of personal achievement – a dangerous situation. They keep on returning like dark shadows and can have a significant influence on our surgical ability and performance. The fourth phase is the often the most challenging and is more difficult than the actual operation: if the surgery has proceeded as anticipated, positive and encouraging information can be given to the anxious parents. However, with a seriously ill or dying baby, we have to cross the Rubicon a second time when we meet the family again. We understand our role in the treatment of diseases but experience great difficulty in making the life-threatening illness of a baby and his impending or actual death as bearable as possible for all concerned. We have limited professional skills in handling this and often turn away from the tragic reality and leave it to others to deal with the family. How is it emotionally possible to talk to parents about your unsuccessful attempts to help their newly born child or to tell them that the baby, which they have longed for, is going to be severely deformed, handicapped or may even die? This has been the most difficult and unresolved part in my whole career. We are often asked questions post-operatively, some which we can answer, others we can prognosticate on based on our collective experience, and there are other questions which cannot be answered. These questions include: Will my baby survive? Can I stay with him/her all the time? Will he/she be deformed and scarred? Will more operations be needed? Will his/her growth and development be influenced? Will he/she be able to live a normal life? How long is he going to stay in hospital? Was I responsible for the anomaly? And finally. “what now doctor”? We are ill-equipped to answer many of these questions. During my lifelong involvement with neonatal surgery, I have witnessed the consequences of the pathology and what my surgery could and could not do. Many children who initially may be perceived as successes, are burdened with increased restrictions in everyday life and at times with life-long disabilities, disfigurement, developmental and behavioural disorders, vision and hearing disabilities, infertility, secondary tumours and the disintegration of their families. Furthermore, there are those situations where life-extending and sophisticated treatment methods are used to prolong life with little or any hope of a meaningful outcome. All of us will face this crucial issue in our professional lives and quality communication between the clinician and parents may ease the burden. The psychological impact of diagnosis, living in the Paediatric Intensive Care Unit, becoming the parent of a critically ill baby, being traumatized by their infant’s illness, coping and facing an uncertain future, will have long-term consequences on the family. We have all been aware of the depression, anxiety and attachment disorders amongst the mothers and fathers of our patients. This too remains part of us. The only way to live with the memories of successes and failures, is to know that I have done my best when the infant was entrusted into my care in the moment of crisis. The successes may fade in our memories, but our failures are etched into our minds for eternity. Potts, W.J. (1959). The surgeon and the Child. WB Saunders Company, Philadelphia. Flin, R., Youngson, G. & Yule, S. (2007). 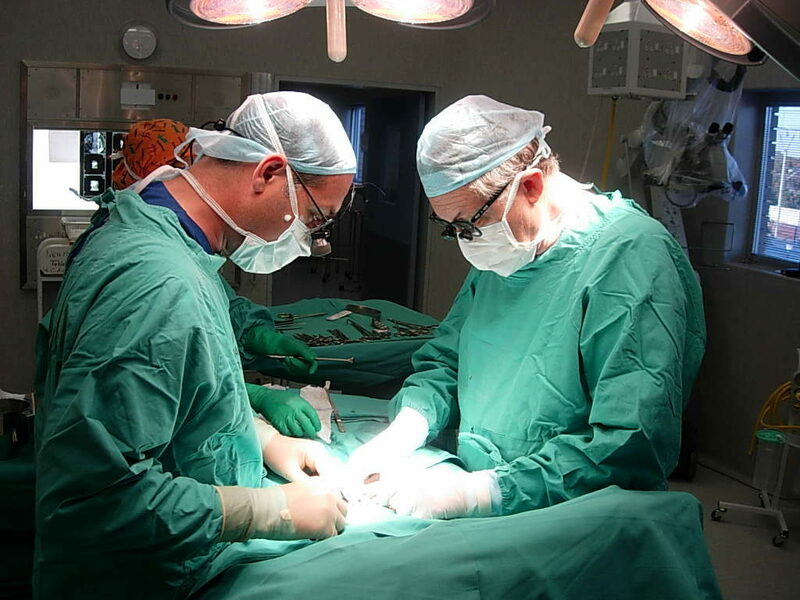 How do surgeons make intraoperative decisions? BMJ Quality Safety, 16, 235-239. Doi:10.1136/qshc.2006.020743.